Nissan Motor Co shareholders ousted erstwhile boss Carlos Ghosn as a director on Monday, formally severing his ties with the Japanese automaker he rescued from near-bankruptcy two decades ago and from which he is now accused of siphoning funds. Shareholders gathered for an extraordinary meeting just days after Ghosn's latest arrest in Tokyo, expressing bafflement and concern about growing financial misconduct allegations. 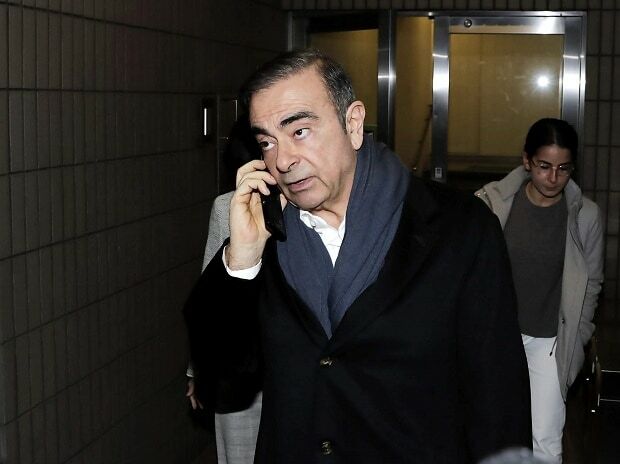 Ghosn has denied all charges against him and said he is the victim of a boardroom coup. Tokyo prosecutors last week took the highly unusual step of re-arresting Ghosn - who had been out on $9 million bail - returning him to the Tokyo detention centre where he had previously spent more than 100 days. Under the latest allegations, he is suspected of trying to enrich himself to the tune of $5 million at the automaker's expense. Ghosn, who was first arrested in November, has been charged with under-reporting his Nissan salary for a decade, and of temporarily transferring personal financial losses to Nissan's books. However, the new allegation is potentially more serious, as it could show he used company funds for his own purposes. "I can't comprehend how this could have happened, despite having auditors," said Setsuko Shibata, a retired homemaker who said her family had held Nissan shares for decades. "I can't say I feel better about the situation after today's explanation." Meeting shareholders for the first time since Ghosn's arrest rocked the global auto industry last year, Chief Executive Hiroto Saikawa started proceedings at a Tokyo hotel by apologising for the inconvenience the scandal had caused, followed by a deep bow of contrition from him and a panel of executives and directors. Proceedings were at times interrupted by some hecklers on the floor of the meeting, which was attended by a near record-high 4,100 shareholders. The shareholders voted to remove both Ghosn and co-accused Greg Kelly from Nissan's board of directors. Kelly has also denied all charges against him. They also voted in Renault Chairman Jean-Dominique Senard as a director, an expected move that was widely seen as assuaging concern about the future of the Nissan-Renault automaking alliance engineered by Ghosn. The fall of one of the world's most-feted executives appeared to have left some Nissan shareholders nonplussed. "The situation seems to go deeper than it looks based on the information," said shareholder 68-year-old Roberto Montoya. "I'm very suspicious of the situation, and most people are." Ghosn's lawyers have called the latest arrest an attempt to muzzle him. He was due to speak at a news conference this week, but instead a video statement from him will be shown on Tuesday at the Foreign Correspondents' Club of Japan (FCCJ), the FCCJ said on its website. Saikawa on Monday said Nissan may claim damages against Ghosn, and that he would work to stabilise the company before standing down as chief executive. "This is not an issue we can fix overnight," Saikawa told shareholders. "We need to fulfil the task (of improving governance) and prepare the company for our next steps, and then pass the leadership baton." Saikawa also told shareholders he did not want to pay severance to Ghosn. Renault's Senard at the meeting stressed the importance of the automaking alliance. "I will constantly suggest the best possible evolutions in the framework of the alliance," he said. "We want to secure the right future for Nissan."